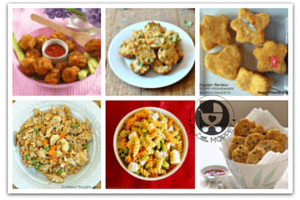 Quinoa is one of the most popular gluten-free healthy foods, which is high in protein. There are only few plant foods that contain all nine essential amino acids. Quinoa is one among them. It is also high in fiber, magnesium, vitamin B & E, iron, potassium, calcium, phosphorus and various beneficial antioxidants.We have made the nutritious Quinoa most nutritious by adding vegetables into it. 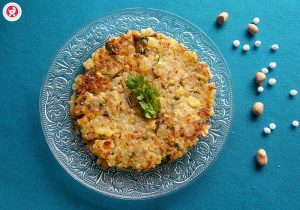 Quinoa vegetable upma is a gluten free recipe and nutritious dish which can be served at any time of the day. 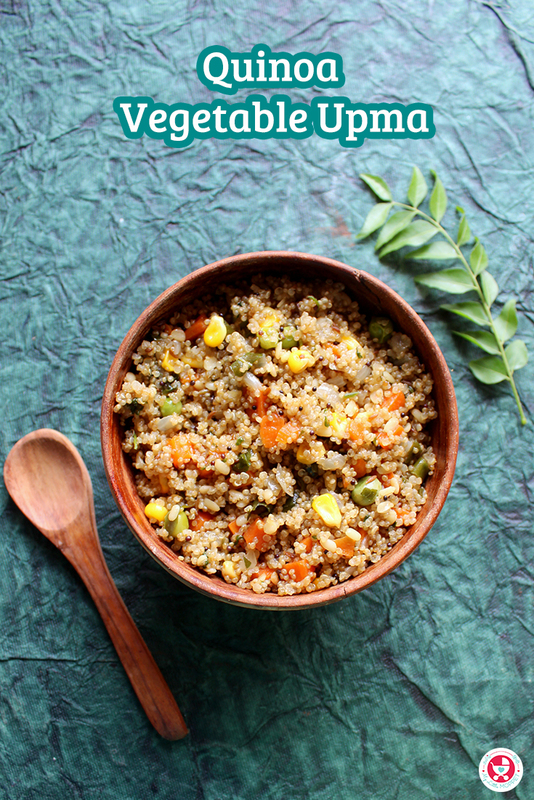 This colorful filling dish with wholesome goodness of vegetables and super food quinoa is very easy to make and can be made in a jiffy, if you have cooked quinoa ready at hand. 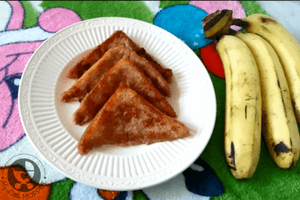 Replace ghee with oil to make it a vegan dish. 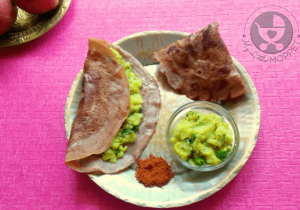 Serve it with curd or raita at breakfast or for a light evening meal. 1. Rinse the quinoa in water thoroughly, drain and soak in water for 15 minutes. Also rinse and soak the split and skinned black gram. 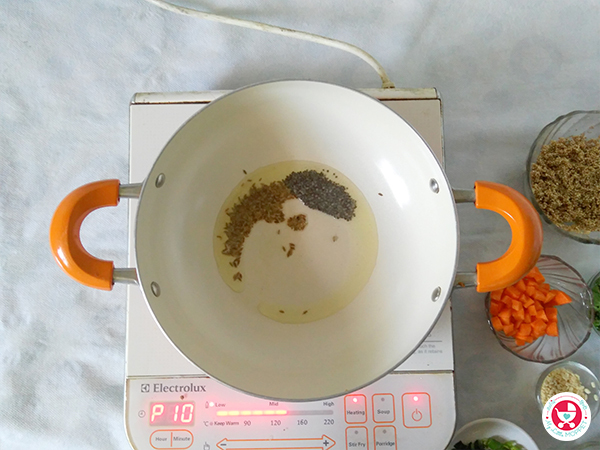 After 15 minutes, drain the quinoa and black gram, set aside until use. 2. Heat a wok on medium flame. Add ghee or oil to it. Next add the mustard seeds. Once they splutter add the cumin seeds. Let the seeds crackle. Now add curry leaves ( I have chopped it finely, so that my young one cannot sort out the leaves from the upma), followed by green chili. Saute for few seconds. 3. Next add the black gram. Saute it for a minute or so. Now add the onions and stir fry until it turns soft. 4. 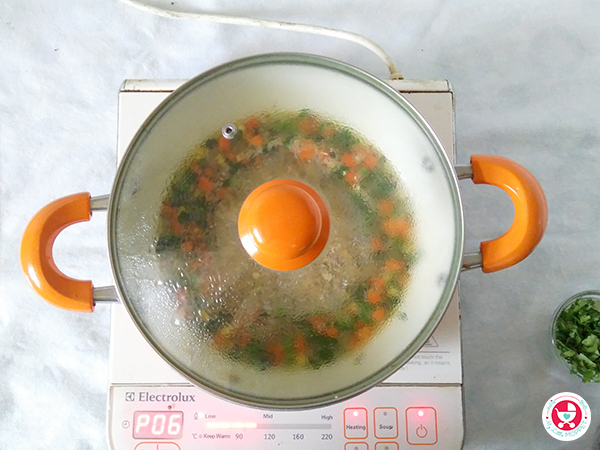 To this add the carrots, green peas, sweet corn and stir fry the veggies for 1-2 minutes. 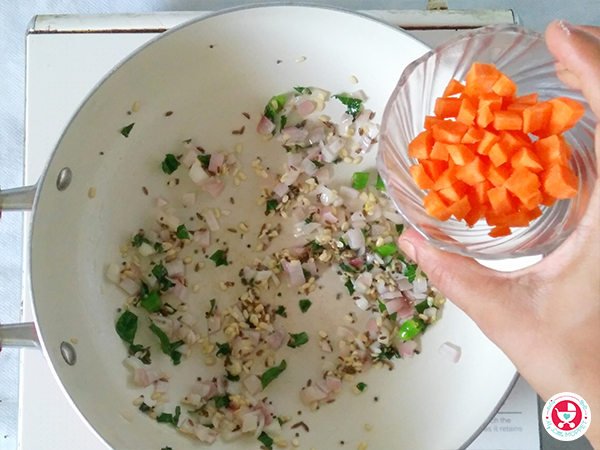 Add 1 1/2 cup water to the veggies, followed by salt and half of the chopped coriander. 5. Allow it to boil. 6. Add the soaked and drained quinoa to the boiling water. Stir well and cover cook on low to medium flame for 15 minutes or until the quinoa is soft and cooked well. If there is some water left in the quinoa, remove the lid and cook the upma until it is dry. 7. 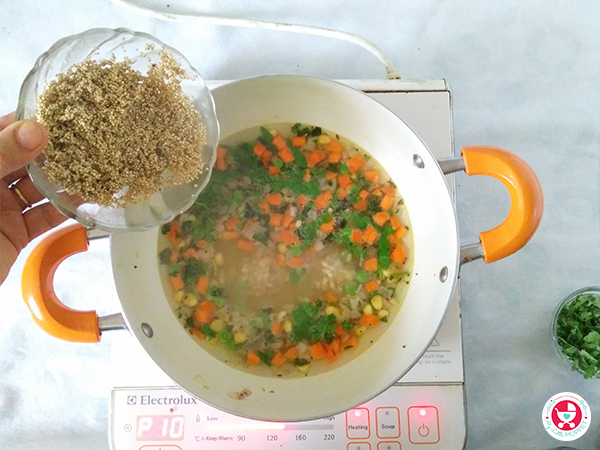 Finally garnish the quinoa vegetable upma with remaining coriander leaves and serve warm. 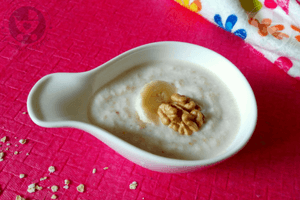 This recipe is loaded with many important nutrients. Quinoa contains large amounts of flavonoids, including quercetin and kaempferol which are important plant antioxidants with numerous health benefits. With so many health benefits, quinoa is one food you must stock up on!! 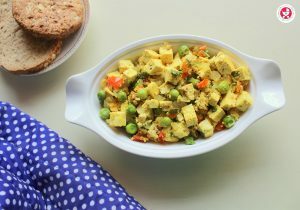 Quinoa vegetable upma is a gluten free, nutritious recipe with the wholesome goodness of vegetables and quinoa, It's the best toddler food. Rinse the quinoa in water thoroughly, drain and soak in water for 15 minutes. Also rinse and soak the split and skinned black gram. After 15 minutes, drain the quinoa and black gram, set aside until use. Heat a wok on medium flame. Add ghee or oil to it. Next add the mustard seeds. Once they splutter add the cumin seeds. Let the seeds crackle. Now add curry leaves ( I have chopped it finely, so that my young one cannot sort out the leaves from the upma), followed by green chili. Saute for few seconds. Next add the black gram. Saute it for a minute or so. Now add the onions and stir fry until it turns soft. 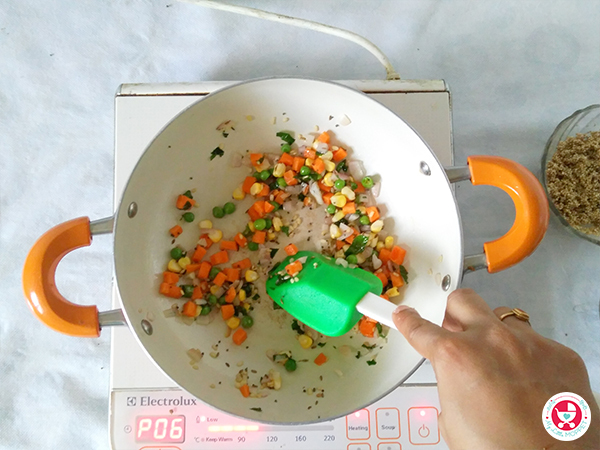 To this add the carrots, green peas, sweet corn and stir fry the veggies for 1-2 minutes. 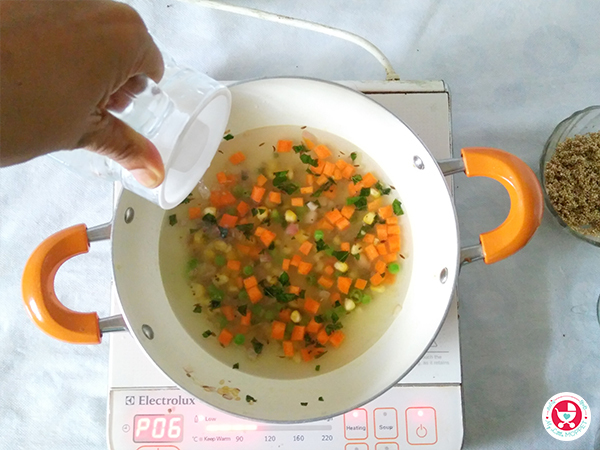 Add 1½ cup water to the veggies, followed by salt and half of the chopped coriander. Add the soaked and drained quinoa to the boiling water. Stir well and cover cook on low to medium flame for 15 minutes or until the quinoa is soft and cooked well. 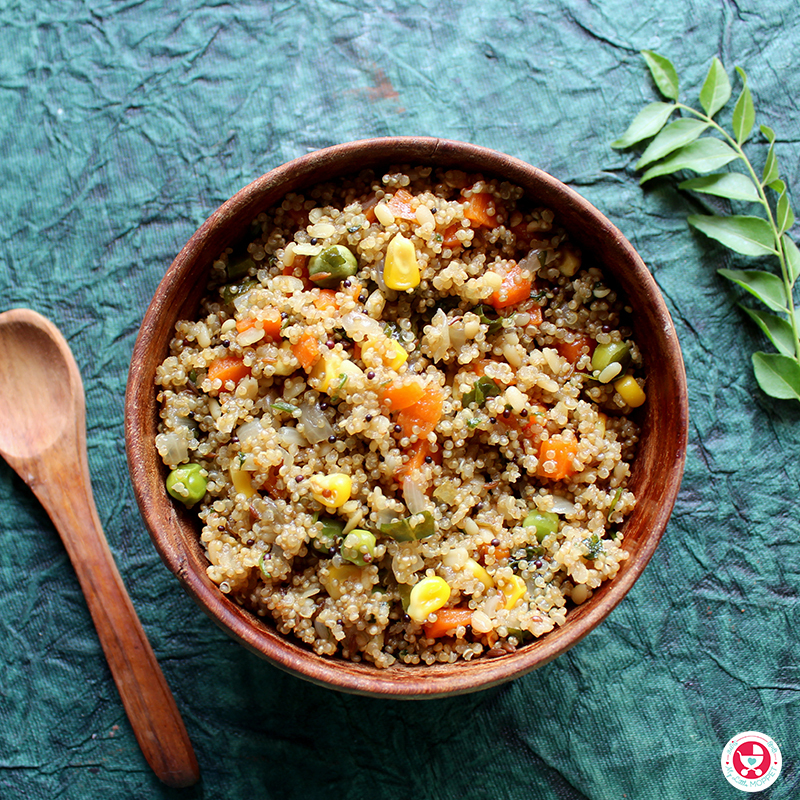 If there is some water left in the quinoa, remove the lid and cook the upma until it is dry. 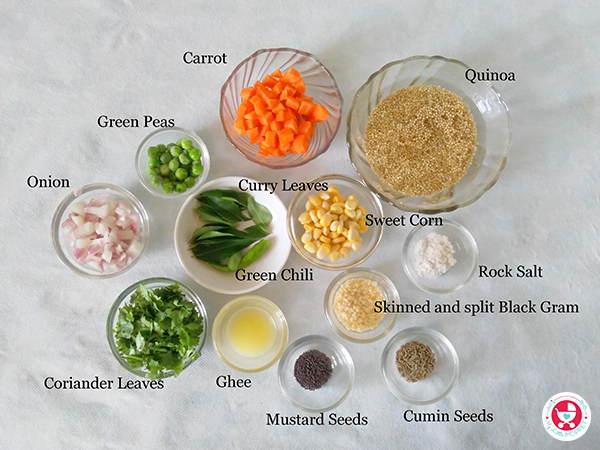 Finally garnish the quinoa vegetable upma with remaining coriander leaves and serve warm.